FHA home loans have four basic refinance options you can consider as part of a long-term strategy to buy and own a home. Would you like to get a lower monthly payment or a lower interest rate at some point? Get funds to upgrade or repair the home in the future? March 25, 2019 - When you buy your first home, you and your realtor are not likely talking about refinancing your home loan down the road, but refinance loans are an important option for future financial planning. There are FHA refinance loans that can handle these needs and much more. Cash-out refinances which can be used to convert a home’s equity into cash. No cash-out refinances of FHA-insured and non FHA-insured home loans. There are four options under no-cash-out refi loans: Rate and Term Refinance, Simple Refinance, and Streamline Refinancing (Streamline Refi loans are for FHA-to-FHA refinance loans only). Reverse Mortgages (for qualified borrowers age 62 or older). Refinances for rehabilitation or repair under the FHA 203(k) Rehab Loan program. 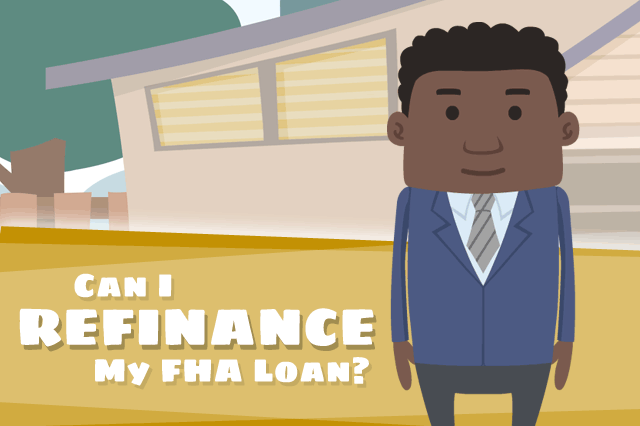 FHA refinance loans are available for both FHA and non-FHA mortgages. With non-FHA loans you can apply for cash-out refinance loans or no cash-out (as described above). You do not need to use the same lender (and cannot use the same lender in cases where that financial institution is not a participating FHA lender) and you are free to refinance to remove a borrower from the original mortgage with these loans. FHA refinance loans for existing FHA mortgages include cash-out, no-cash out, etc. but also include the Streamline Refinance option which permits you to apply for the loan with no FHA-required appraisal or credit check. Ask your loan officer whether the financial institution requires one or both of these, that will be at the lender’s discretion. FHA Rehabilitation Loans, also known as FHA 203(k) mortgages, are loans that can help borrowers repair, remodel, and renovate a home. Your 203(k) mortgage options include a 203(k) refinance loan, so you can refinance your property and remodel it at the same time. Funds for 203(k) mortgages can be used on approved projects (there is a list) and many upgrades and energy-efficient options are available. We will cover FHA Reverse Mortgages in another article as these mortgages are a bit more complex than the others listed here.